If your employer is on the ball, you’ve probably seen the signs while walking around your facility: Permit Required Confined Space – Do Not Enter. It sounds dangerous, but what does it mean? I’ve heard many mistaken answers to this question, or at least answers that are only partially true. 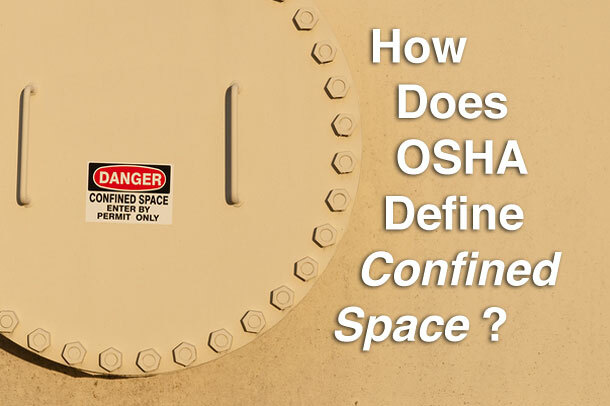 For instance, responses I often get include, “An area is a confined space if there’s only one way in and out,” or “An area is a confined space if the air is bad.” While these can both be part of the answer, they do not fully capture OSHA’s definition. The space must not be “designed for continuous employee occupancy”. Notice the stress I placed on the word “AND”. In order for a space to meet OSHA’s definition of a Confined Space, it must meet all three parts of the definition. So, if I have a 2’x2’ tank with a 12 sq. in. hatch that needs to be cleaned, it clearly is not designed for continuous employee occupancy and it has a limited means of entry. However, the tank is not large enough for an employee to bodily enter in the first place and therefore is not a confined space. Similarly, if I were to look at the first two parts of the definition, any bathroom could be considered a confined space, but when you add the third part of the definition, you realize a bathroom is designed – via lighting and ventilation – for continuous employee occupancy and, again, does not meet the definition. One of the most common misconceptions I’ve come across is that in order for something to be designated a confined space, it must have “one way in or out”. However, in reading the definition, that is never stated. What is stated is that the space has a limited means for entry and exit. So what does limited mean? That depends on your operation. Limited could mean that there are five openings, each of which is small and difficult to pass through. Limited could mean that you have two ways in and out, but when your operation calls for 15 people to be working in the space, they would have difficulty exiting quickly. In other words, there are nuances to the definition which make it necessary for you to evaluate each and every potential confined space individually. Now that you’ve established that you have a confined space, how do you determine if it is a PRCS? Is it as simple as the response stated above, that it is a PRCS if the “air is bad”? No. While “bad air” could be one reason why a confined space might be labeled a PRCS, it is certainly not the only reason. Or “Contains any other recognized serious safety or health hazard”. Notice here that there is no “AND”. In this case, the definition says ONE OR MORE of the following. If your confined space meets ANY of the four listed criteria, it is a PRCS. The simplest thing to do is start with number 4. This is OSHA’s catch-all. Does your confined space contain any recognized serious safety or health hazard? If so, you’ve got a PRCS and must follow all the requirements established in 29 CFR 1910.146. If not, then it can’t meet any of the first three criteria either. If you are unsure of whether or not number four is met, then go back and review the first three. Is there not enough or too much oxygen in the space? Is there a high amount of carbon monoxide, hydrogen sulfide, or any other toxic gas? Is there a flammable atmosphere? If you answered yes to any of these, you meet criteria number one and have a PRCS. For engulfment, this could be water or some other liquid, or it could be a flowing solid material, like grain, sand, soil. For criteria number three, picture a large tank that dispenses its material through the bottom. In this tank, the bottom is sloped to the center where there is an opening large enough into which you could slide and get stuck. This would make your space a PRCS. The trick is to take the designation process once step at a time. Determine whether or not you have a confined space, then look to see if you have a PRCS. Break the definitions apart as needed to help you figure this out. In fact, OSHA provides a good flowchart at 29 CFR 1910.146 Appendix A to help you make your decision. What About Confined Spaces on Construction Sites? 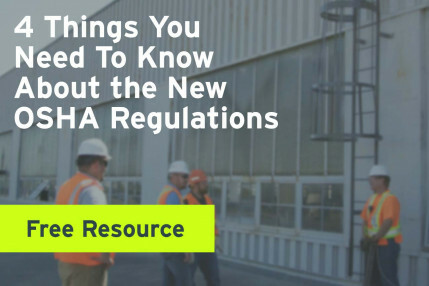 A final note: notice that all references are to the 29 CFR 1910 – OSHA Regulations for General Industry. 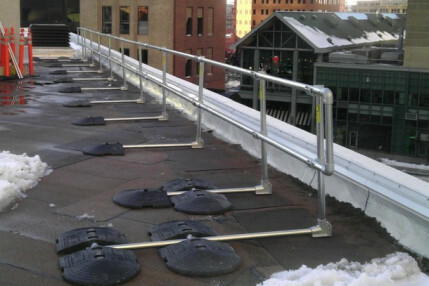 At the time of this writing, there is no Confined Space standard for Construction. One had been proposed that contained five different classifications of a confined space, but it was never made into law. Currently, construction tends to follow the 1910 regulation as the accepted industry practice. The training and education portion of the Construction regulations places the on the employer the responsibility of training their employees on the hazards of confined spaces, what precautions to take, what PPE is needed and what emergency precautions and equipment are required. Any citations regarding confined spaces issued to construction contractors would most likely reference the General Duty Clause or the training and education portion of the Construction regulations 29 CFR 1926.21.